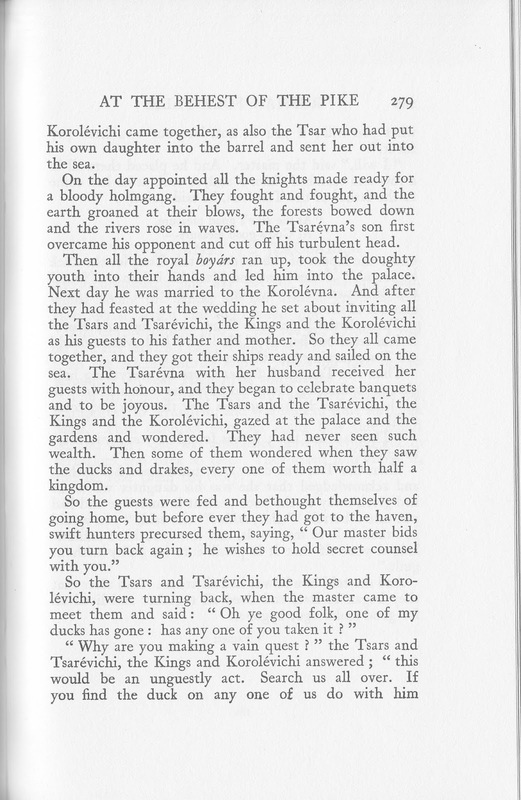 Depending on how you transliterate the Cyrillic, today's story is by Alexander Afanasev or Aleksandr Afanas'ev. Either way he's the main collector of Russian Folklore with Wikipedia telling us he published roughly 600 stories, one of the world's largest folktale collections. He started as a librarian for 13 years at the Archives of Moscow, but was fired when his Russian Popular Religious Legends caused a scandal for its satirizing the Russian Orthodox clergy. He was definitely not the stereotype of a librarian and, as the frequent phrase in pre-revolutionary Russian literature might say: Бог знает (God knows), his starting the collecting of Russian folktales was needed. Unfortunately, Бог знает what he needed was a job. 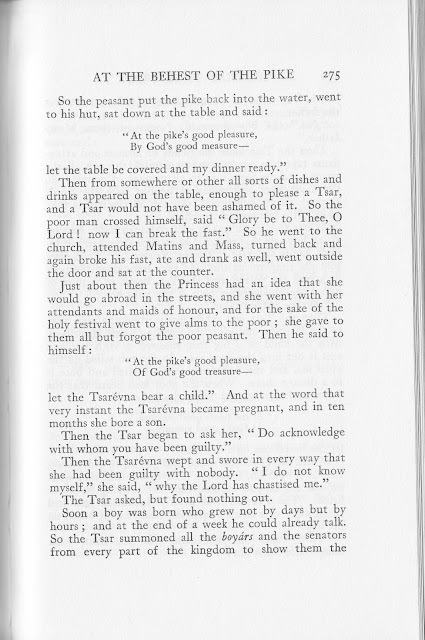 Censorship in Russia meant, after successfully publishing the сказки we translate as "fairy tales", his next type of tales meant he was considered blasphemous and much of his remaining writing was unpublishable in Russia. 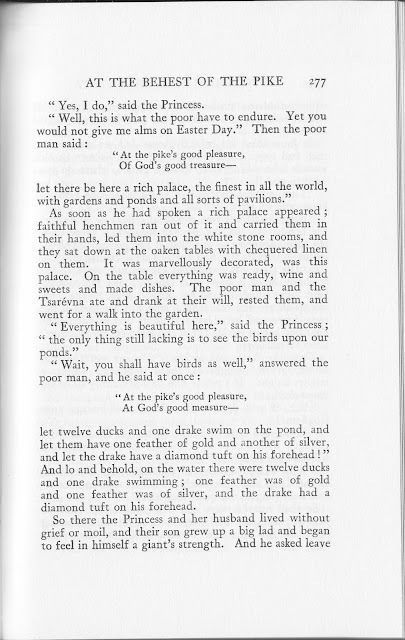 (His Russian Forbidden Tales were published anonymously in Geneva, satirizing both the clergy and landowners.) He didn't even live 10 years after his popular сказки were published. 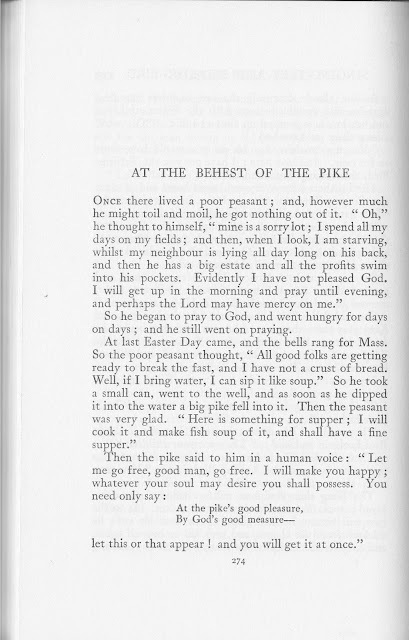 Penniless, after selling his personal library, he died of tuberculosis at only 45. 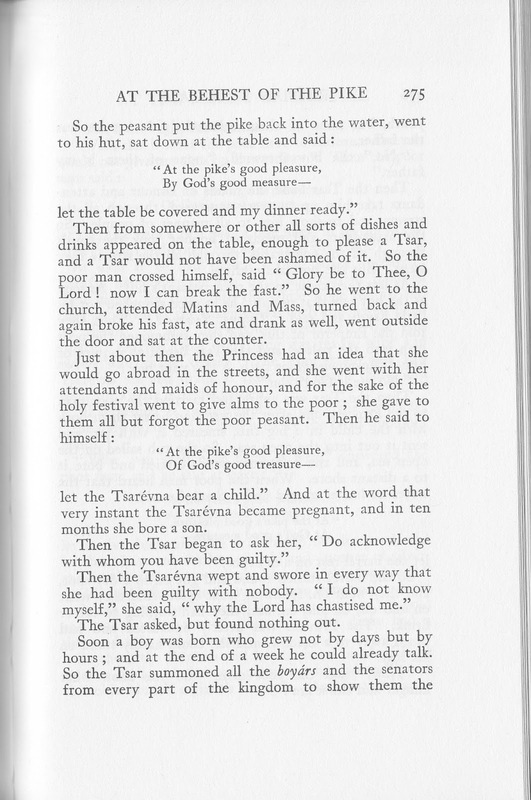 Many of his stories were initially translated in 1916 by Leonard Arthur Magnus. I sometimes say the summation of the Russian philosophical attitude is "Life is a dismal swamp." 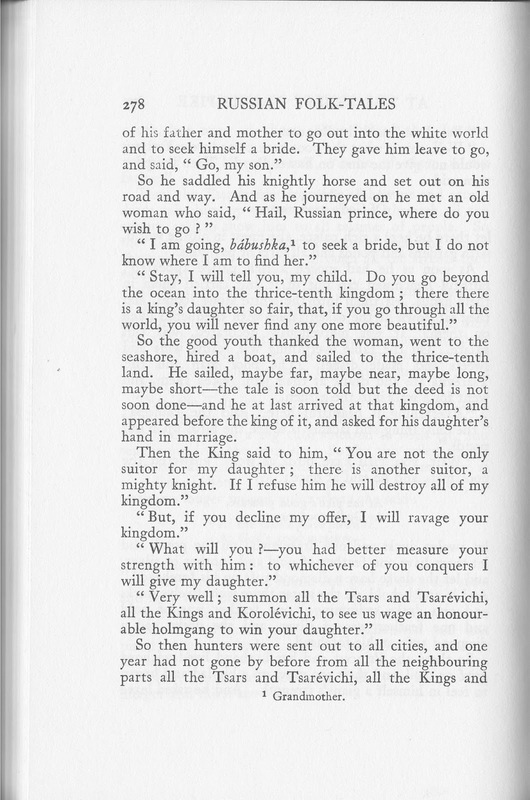 Magnus summarized the difference of Russian folktales from that of the German tales as having an outlook "of a careful observer, who has become callous, because he is helpless" and further notes "the prevailing note is sadness; but there is no absence of humour; yet fun merely happens, and is inherent; there is no broad, boisterous fun." 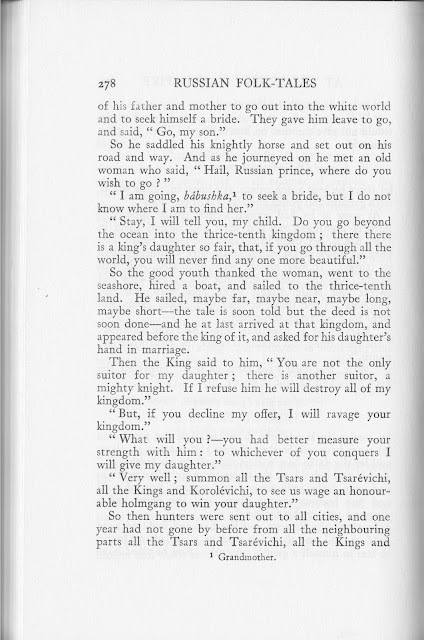 He points out the absence of fairies, giants, gnomes and personifications of nature; but the inclusion of the supernatural with the witch and also the magician "Koschey the Deathless" (Lois: I love telling about the witch, Baba Yaga, & also Stravinsky's Firebird ballet from those tales about Koschei), the difference in Russian legends of the Russian peasant-style Christ and the Saints, plus the personification of Death and Sorrow. 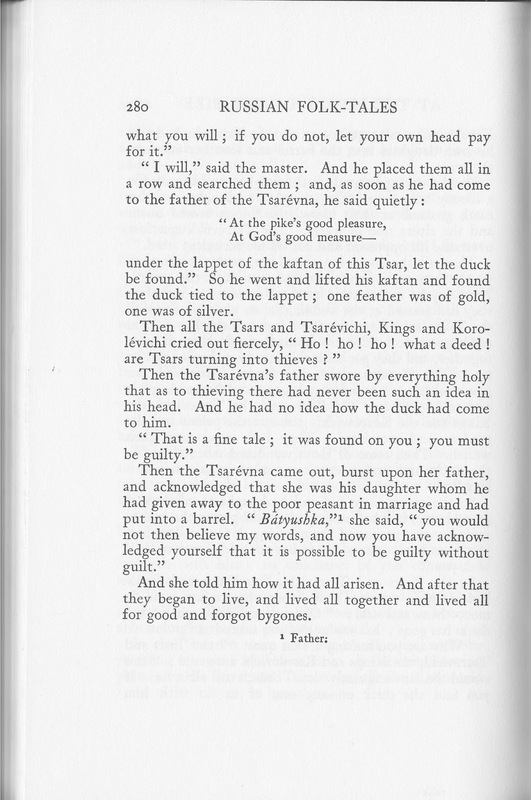 Find his 1916 Russian Folk-Tales at Archive.org. 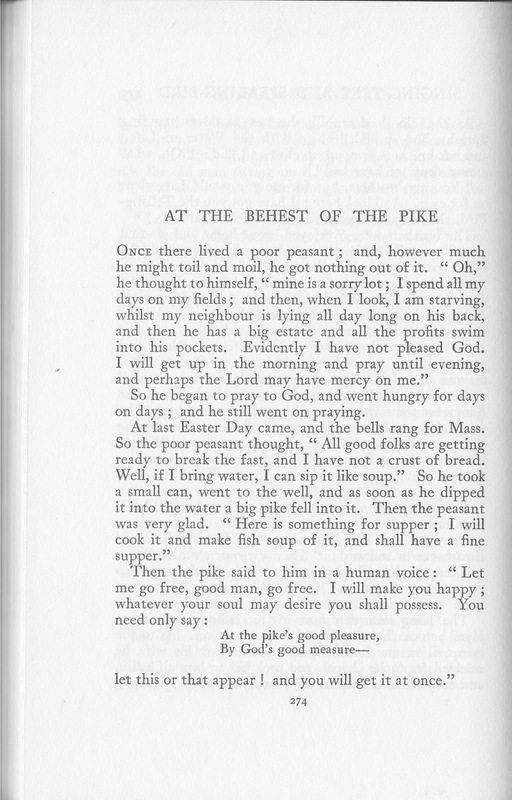 It's the Public Domain source of today's tale, but don't stop there. The Pantheon Fairy Tale & Folklore Library has the 1945 Russian Fairy Tales translated by Norbert Guterman still under copyright. It has far more stories than Magnus translated and the publisher points out about the series: The folkloric traditions of cultures throughout the world come brilliantly to life in these fairy tale and folk tale compilations by world-class scholars and anthropologists. I recommend the series for a first stop in developing your own telling stories of the 17 cultures in their series. 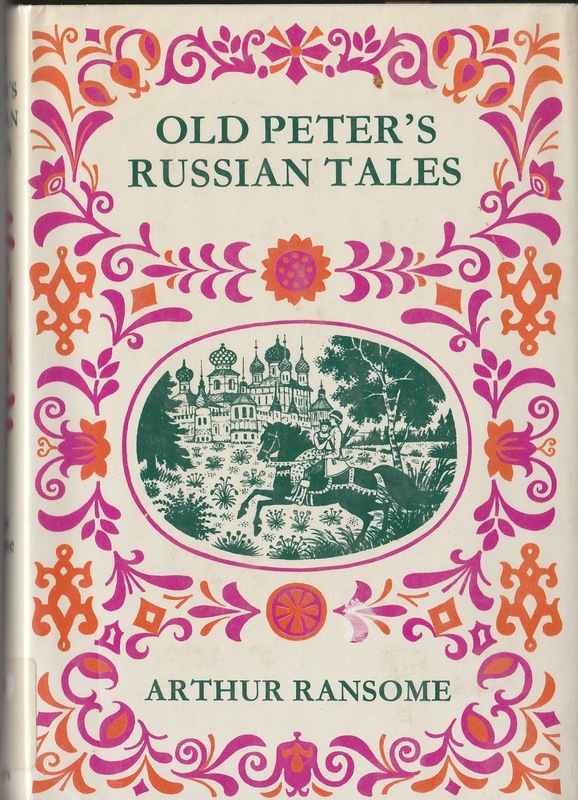 One of my favorite tellable versions of Russian tales has been mentioned here before, Old Peter's Russian Tales by Arthur Ransome, take a look back by clicking that hotlink. 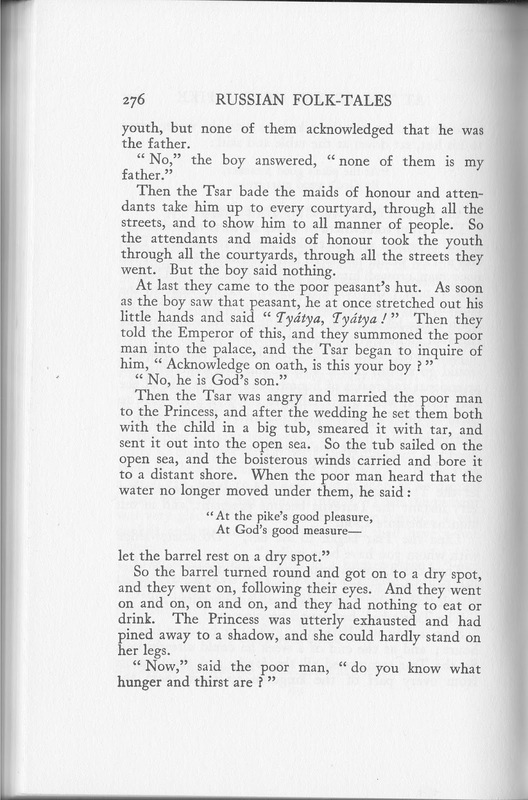 Checking the book for a Russian tale of gratitude or ingratitude, I found a Russian parallel of the well-known tale from the Brothers Grimm, "The Fisherman and His Wife" called "The Golden Fish." I kept looking and went to Magnus because Ransome's story was quite long. 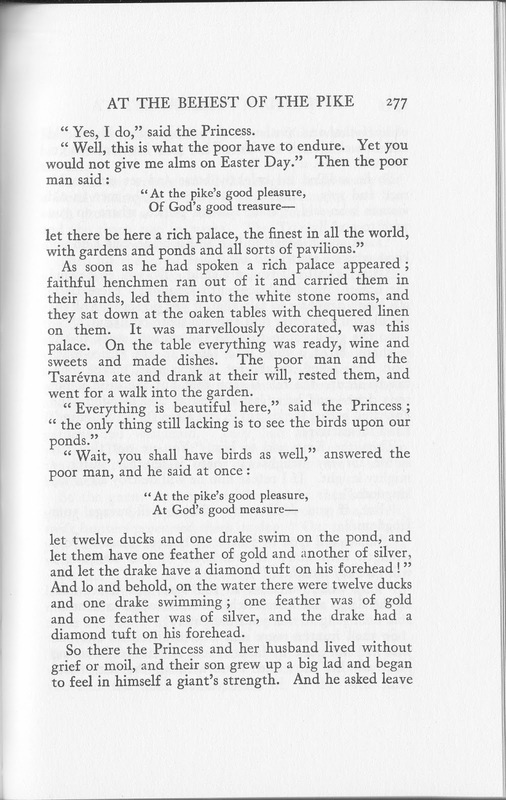 This introduction to today's tale has been long, too. 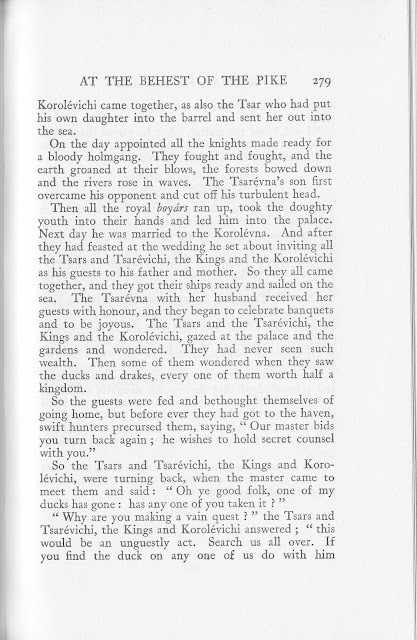 Afanasev's methods often gave more than one version of the same story. 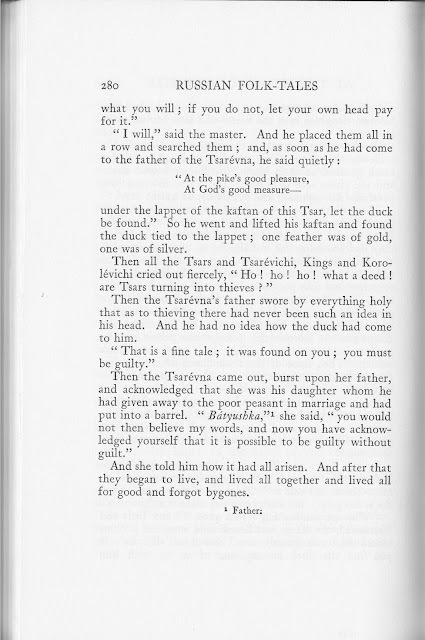 Today's сказки is Afanas'ev via Magnus in a far different view of what might happen if you catch a magic fish. That's about as close to "and they all lived happily ever after" as you might hope to find in a Russian tale.